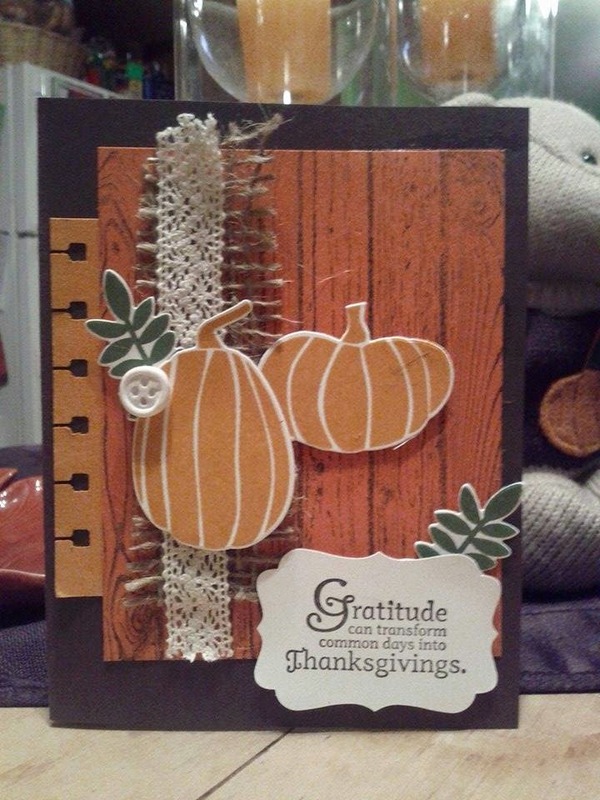 for the (heart) of stamping: Fall Fun! I love love LOVE fall, so nothing inspires me more than sitting down with a new fall stamp set and a cup of fall David's Tea! I got a lot of inspiration from the new fall fun bundle... I love that you can do SO MUCH with it! I made two cards... I always start with a basic idea from pinterest or a simple google search of the stamp set i'm using, and then make it my own from there! 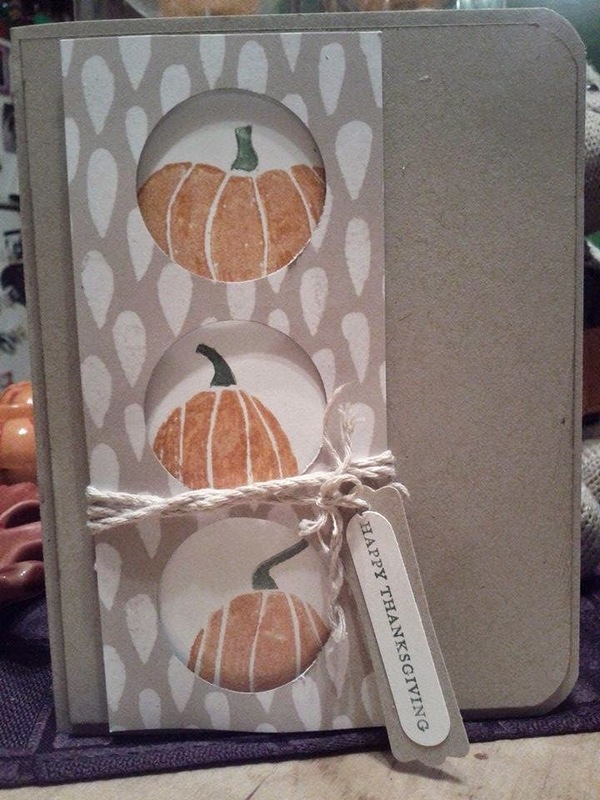 The first is a simple peekaboo pumpkin card. I'm in Canada, so Thanksgiving has officially ended, but it's still Thanksgiving Season in MY house! I used the 1 3/4" punch on the dsp, then used a pencil on the white paper to mark where the circles are.... then I used the MASKING technique to cover the bottom circle so the pumpkin didn't "peak" into the other circle. I'm not one for tone on tone, but I do really like how the kraft all layered together works together. This one is using the same stamp set... We sell GORGEOUS burlap ribbon, but I didn't have any so I used some scrap burlap we used at a wedding recently. Unfortunately the sentiment is retired, but there are LOTS of great sentiments for Thanksgiving that are current!